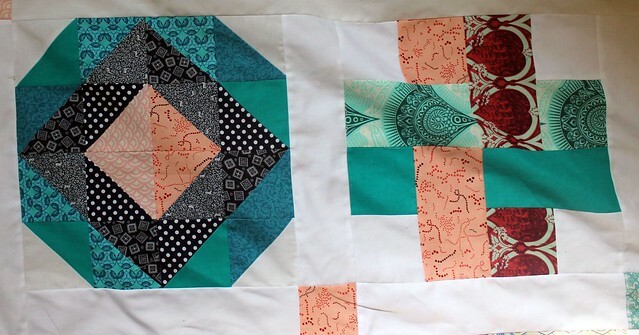 I’d been wanting to make a sample quilt for a while now, so I hopped on board with the Sew Happy Quilt along – I highly recommend it for some great block tutorials! Lest you think this just magically appeared, I’ve been making a block here and there for a few months now. 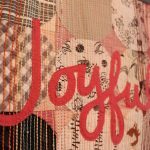 I have a box of the fabric I pulled out for this project and I pull it off the shelf and cut up a few pieces when I have been in the mood. I love all my fabrics so much I have been saving all my scraps in a second, smaller box and will someday make something with those scraps as well. Yes, my life is thrilling! 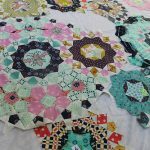 These are my two favorite blocks – the Half Square Triangle Diamond is one I think I’d like to make a whole quilt out of – though maybe a baby quilt, it’s a bit time consuming. 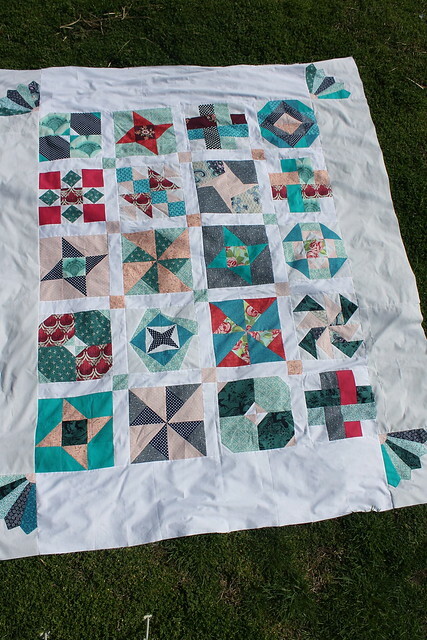 And below is my finished quilt top – I’m working on the back now, which will much simpler than my past few. 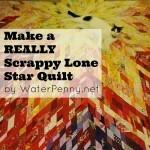 I’m mulling over how to quilt it. Thoughts? 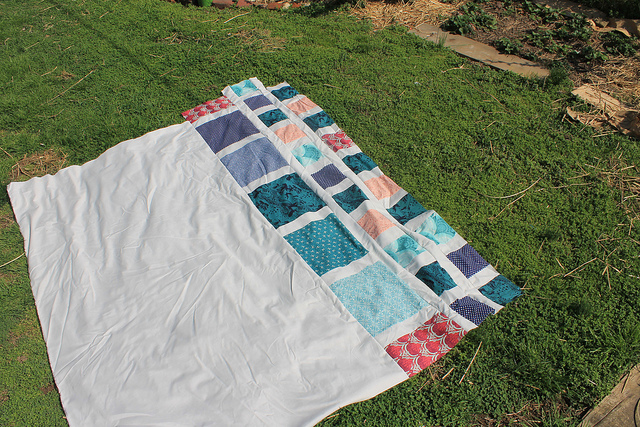 I made extras of several of the blocks and made it queen sized. Which, as Matt says, “That makes sense, we have a queen sized bed.” I’m not sure I’ll be as excited about that logic a few hours into the wrestling match I’ll be having with this buddy when it comes time to quilt it though! 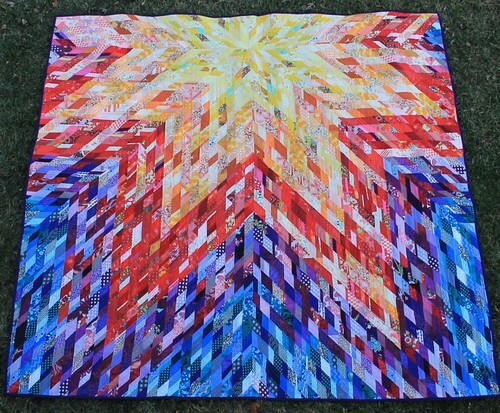 I absolutely recommend checking out the other finished quilt tops in the Flickr group for this quilt along. It’s so interesting to see the different ways people work with the design! I love them all! 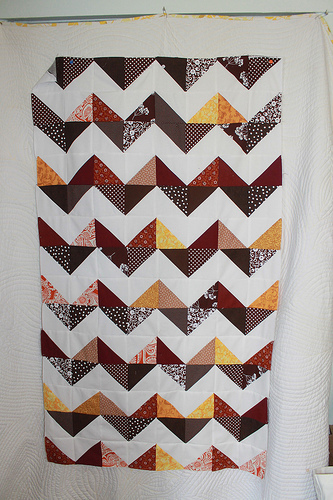 I am linking this blog up with Sew Happy Geek and Sew Modern Monday. 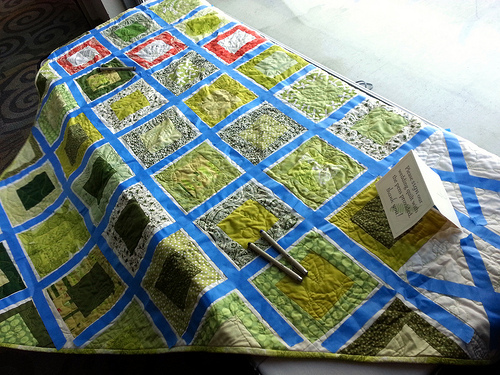 There are SEW many sewing puns out there – for the record, my favorite is Make it Sew. Ha ha. The cross section of quilting nerds and sci-fi nerds is just about the best bunch of folks there is.